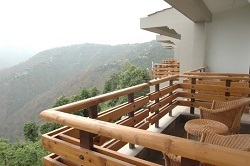 The Terraces Kanatal offers an enchanting view of the snow covered Himalayas and lush green forests. Its a boutique spa resort that is one of the precious jewels in the crown of Uttarakhand offers you a remarkable and most memorable holiday experience. 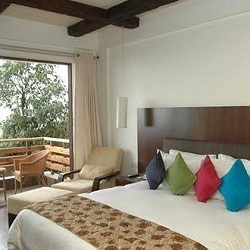 The Terraces Resort in Kanatal is equipped with all modern facilities and eye-catching decor. In addtion to this, The Terraces has multi-cuisine restaurant that serves most delicious vegetarian and non-vegetarian dishes. 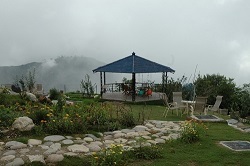 Kanatal Resort and Spa, a quite place, located 32kms from Mussoorie in Kanatal. It's a 4 star luxury resort well known for its wonderful range of spa therapies christened and Rasayana. Kanatal Resort and Spa in Kanatal offers its guests a pleasant stay and provides a perfect gateway to natural sights. Not only family or a couple can enjoy at this Kanatal Hotel, but it is also ideal place for business conferences and other events. 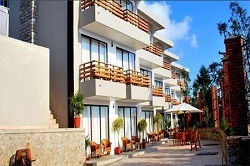 The Resort also offers lots of othere facilities like bar, restaurant, Barbecue area, Basketball court, Children's facilities, Dry cleaning, Lobby, Reception, Table tennis. Complimentary use of Hot Water Pool, Steam & Sauna Bath.